Researchers at the University of Ottawa and The Ottawa Hospital have discovered a new way to treat the loss of muscle function caused by Duchenne muscular dystrophy in animal models of the disease. As reported in Cell Stem Cell, the team restored muscle stem cell function that is impaired in Duchenne muscular dystophy, resulting in efficient regeneration of the muscle and preventing the progressive loss of muscle strength characteristic of the disease. 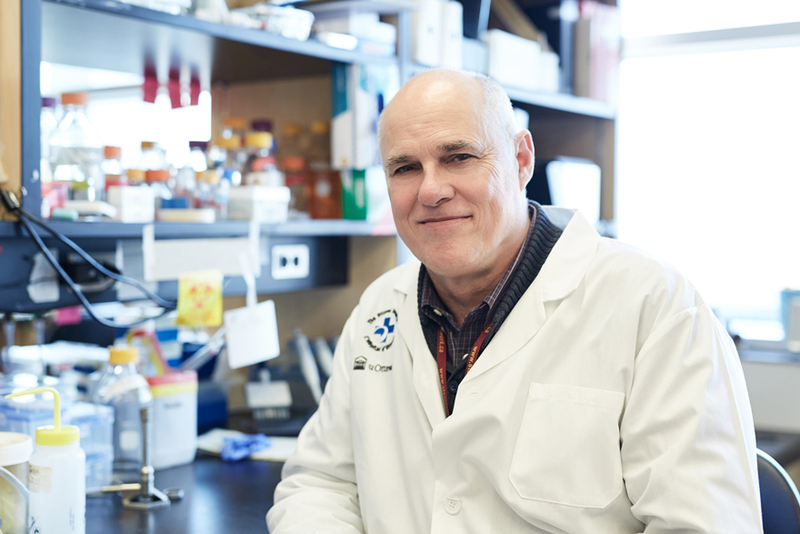 Dr. Rudnicki’s team previously made the landmark discovery that Duchenne muscular dystrophy affects muscle stem cells, not just the muscle fibers. Muscle stem cells are responsible for repairing muscle fibers after injury and exercise. In people with Duchenne muscular dystrophy, their stem cells do not produce enough of the cells that will become muscle cells. This is because they are missing a protein called dystrophin, which properly orients the cell division needed to form new muscle cells. This proof-of-concept study shows that the muscle repair pathway in Duchenne muscular dystrophy is correctable. However, EGF would not be a practical treatment because the protein cannot travel from the bloodstream into the muscles. The researchers’ next step is to find a small-molecule drug that triggers this same pathway and can be easily delivered through the bloodstream. They will also look at the long-term effects of triggering this pathway, as the therapy would likely be taken throughout life. This article was reprinted with the permission of the Ottawa Hospital Research Institute.